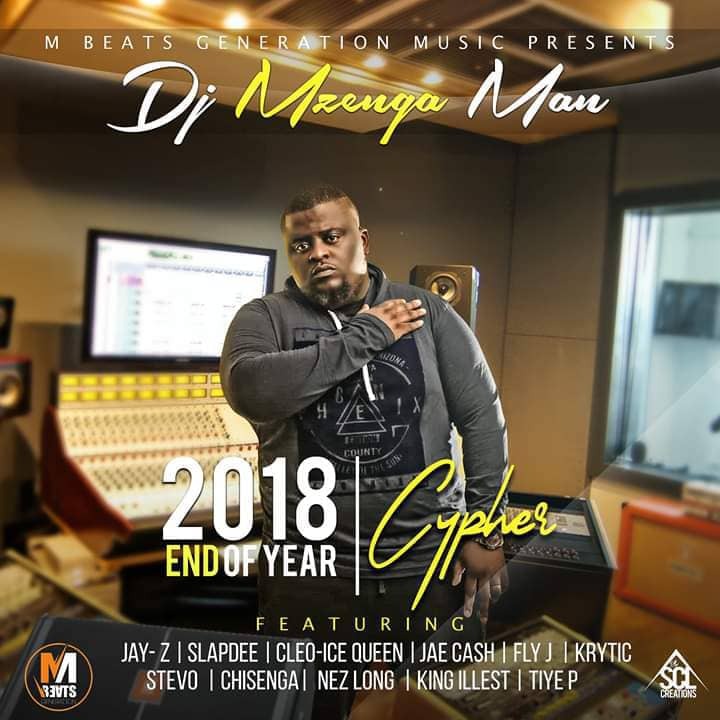 Zambia : Dj Mzenga Man presents "2018 End Of Year Cypher"
Dj Mzenga Man released the highly anticipated 2018 End of Year Cypher featuring Jay-Z, Slapdee, Cleo Ice Queen, Jae Cash, Fly J, Krytic, Stevo, Chisenga, Nez Long, King Illest & TiyeP. Let me make it clear that I don’t know this guy and I have not featured any African guy apart from Fela Kuti. He just stole my line from my old songs and blended with his fellow Zambians to make a fame out of it.Stick to your lane and don’t put Hov on your Zambia wawa as am way above that .Stoopid…. Jay Z Which lines did he steal? Mmmh, what happened to zambian music, honestly this is not right, twelve artists put together this track, I don’t know what to say. Pull up your socks guys, this shouldn’t be happening. Guys we need to come up with our own music. Even if we Want to to imitate the Americans let’s do some thing identifiable as Zambian.